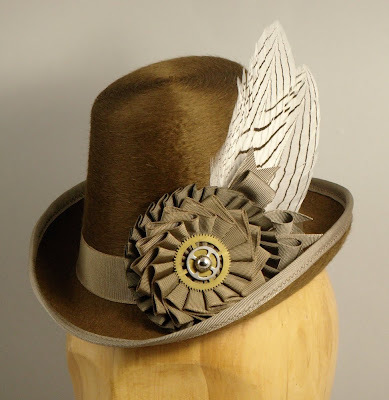 In anticipation of the Nova Albion Steampunk Convention coming up next March, I've made a push to list all my steampunk-inspired hat styles on my Etsy page. So far I've worked only in felt, but I'm thinking of making some little straw boaters as well. What do you think?